Distance to: airport - 20 minutes drive, city centre - in the city center. Including: 36 single, 61 double, 8 king-size and 2 lux rooms. 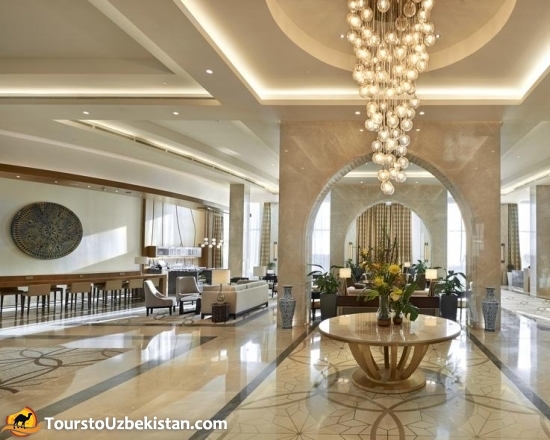 The nine-storeyed building of the Shodlik Palace hotel is situated at the business and cultural core of Uzbekistan's capital, and meets all service requirements and international quality standards for a high-class hotel complex. 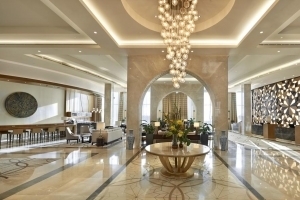 Equipped with up-to-date systems guaranteeing safety to its clients, Shodlik Palace hotel has a staff of high skilled personnel, who make a stay in the hotel especially pleasant and comfortable for guests. The hotel is managed by an international Italian company "Domina Hotels and Resorts" and it is classified as a First Class 4-star hotel. 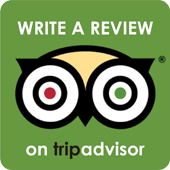 The hotel has a modern design and nice atmosphere as well as moderate prices.